Daughter of original inner city mamma Neneh Cherry and veteran music producer Cameron McVey, Mabel is standing on the shoulders of giants yet firmly on her own two feet. The 19-year-old grew up between Malaga, London and Stockholm and studied music theory before quietly releasing the tender pop song Know Me Better last year. She made BBC Radio 1’s Sounds of 2016 list and has just received props from Adele for her current single My Boy My Town. Oh, and she also has a pout to die for, just like mum. Moonchild Stanley aka Sanelisiwe Twisha is as well known in South Africa for her cute blue bob and cartoony Moonchild Cultwear fashion line as she is for her distinctive sound she calls “future ghetto funk”. Born in Port Elizabeth, she studied fashion in Durban and hit Joburg’s open mic nights in 2011. She’s since collaborated with Tshepang Ramoba from BLK JKS and Spoek Mathambo’s Fantasma (their track Shangrila is a sparkly, tingly slice of joy) and released her debut album Rabulpha, which deftly draws on kwaito, jazz and hip hop to create new soundscapes. Now Moonchild is about to embark on an international tour including Austin’s SXSW industry hoedown. Audio and visual artist and Nairobi native Brendern Denousse is only 19 yet he’s already causing a stir with some exciting collaborations. Last year he dropped Bejila, his unofficial “Swahili trap” remix of an acoustic performance by Ibeyi. He’s also worked with Ghanaian songstress Jojo Abot as part of the musical collective East African Wave on the minimalist track Mega Kpenu Nao. And now he’s just produced the downbeat Get Lost by US singer JABS featuring Wilough, better known as Willow Smith. Yes that Willow Smith. All this and he’s a talented illustrator too. What’s next for this wunderkind? Hackney girl Nao makes grown up alt soul that floats somewhere between Erykah Badu and FKA Twigs. She studied jazz and worked as a studio vocalist for the likes of Jarvis Cocker and Kwabs and then stepped into the limelight herself with the So Good and February 15 EPs and latest release Bad Blood. She’s played Glastonbury, supported Little Dragon and collaborated with Disclosure and Mura Masa. 2016 looks set to be her year with BBC, Apple Music and MTV all tipping her for the top, a sold out European tour this spring and debut album on its way. 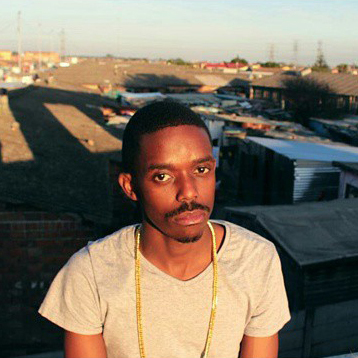 Cape Town rapper and producer Boolz first made noise in 2013 with the SOS (Straight Outta Skom) EP and signed to Rude World Records the following year. His sophomore release Bring Tha Hate bred the video for Aphe Kapa, which sees Boolz freewheel around the Lana township with a cast of local creatives shooting hoops, smoking blunts and eating smileys (sheep heads). He recorded his new EP Love Tha Hate at Red Bull Studios where he further cemented his iKapa take on hip hop fusing English, Xhosa and kasi slang to tell dark dancefloor tales. Following in the soulful footsteps of Bez and Asa comes Bemyoda. The Nigerian singer songwriter grew up training his pipes in choirs and listening to India Arie. He made his first move with the 2013 EP Sketch and now he’s back with new songs Forever and Always. The accompanying video for Always features adorable cartoon characters acting out a story of long lost friendships over lamenting, scratchy guitars. Expect an album soon.